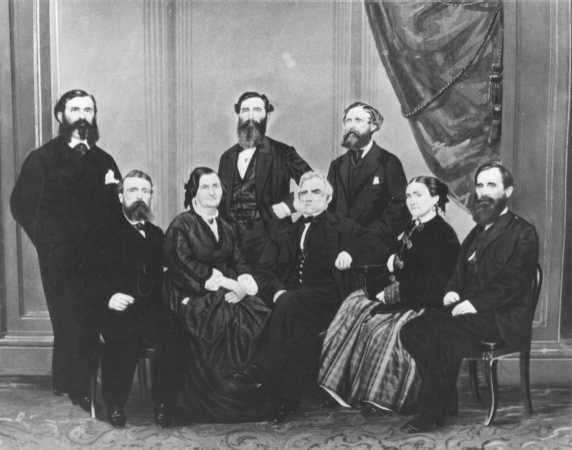 On November 10, 1865, a group of local citizens organized the first meeting of the “Hagerstown Cemetery Company”. Their goal was the formation of the area’s first non-profit, public cemetery. They recognized a need in the community to bury the dead following the conclusion of the Civil War…and with crowded landlocked church cemeteries becoming an issue, they forged ahead to establish a cemetery where everyone, regardless of race or religion could bury and visit their loved ones. During this first meeting, a committee was appointed to find suitable land to purchase for the cemetery site. The committee found a willing seller in Dr. John A. Wroe (pictured sitting on the far right in a family portrait with his parents and siblings). Dr. Wroe attended the Columbian College (later known as The George Washington University) in Washington, D.C., where he received both a Bachelor and a Master of Arts Degree. He may also have attended the Washington Medical College in Baltimore. 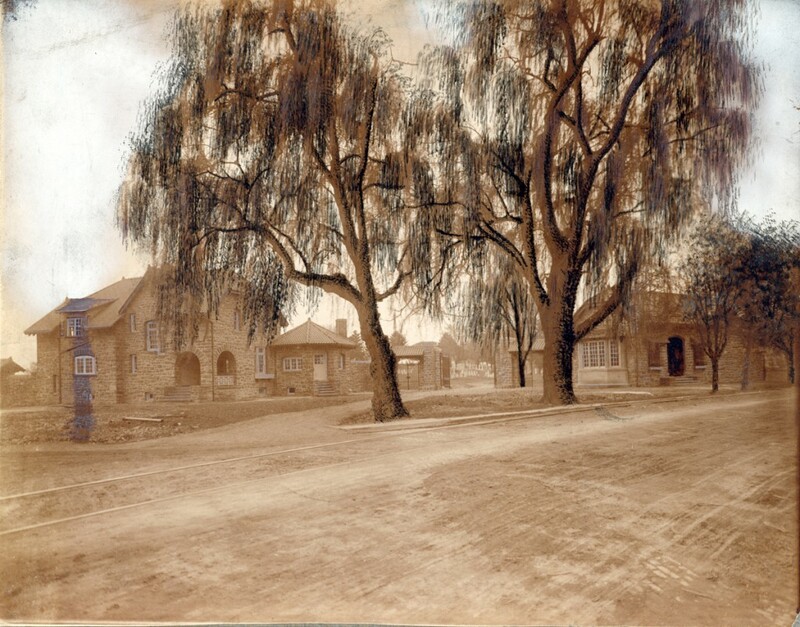 Following graduation from medical school, Dr. Wroe opened his medical practice in Hagerstown in 1843. In 1844, he married Martha Jane Barr who was born in Hagerstown in 1825. Martha was the daughter of Captain David Barr and Christiana Mantz. On November 22, 1865, Dr. Wroe and his wife Martha signed the Articles of Agreement, stating they would sell the cemetery company land to establish the cemetery. On January 11, 1866, Dr. Wroe, his wife Martha and the cemetery company agreed that between 25 and 40 acres of farm land on “Wroe’s Hill” along S. Potomac Street, (then Hagerstown/Sharpsburg Pike) would be purchased for the sum of $250.00 an acre. Dr. Wroe and his family lived at 31 S. Prospect Street, where he treated both Union and Confederate soldiers following the occupation of Hagerstown. It was also said that he hosted a dinner for General Robert E. Lee during that time. 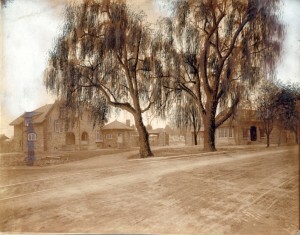 Dr. Wroe’s S. Prospect Street home was sold in 1923 to the Women’s Club and currently still operates as such. 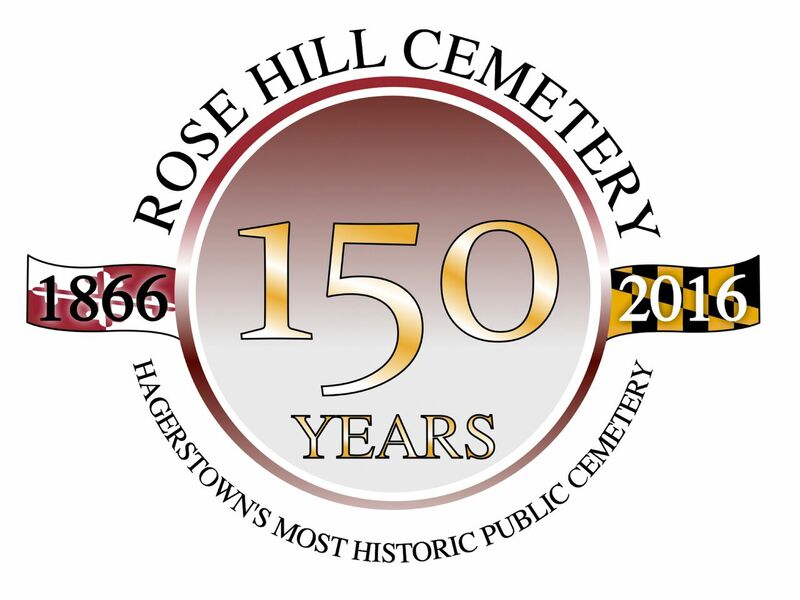 On March 16, 1866, the Charter and Articles of Association were signed and Rose Hill Cemetery of Hagerstown became the official name of our cemetery. On April 2nd, 1867 a renowned landscape and garden architect from Baltimore was hired by RHC’s board of trustees, to draw up a master plan of the cemetery. John Wilkinson Esq., proposed a landscape and layout plan for the newly formed cemetery company, transforming it into a rural or garden style cemetery. Rural cemeteries were different than the previously established church cemeteries in that they took advantage of the natural landscape and topography of a site to design a cemetery within the boundaries of what the land provided as opposed to designing a grid over the available land. The rural cemetery movement began as a response to the health hazard posed by overcrowded church cemeteries, and as a part of the larger Romantic movement of the mid-1800’s. The first rural cemetery in the US was Mount Auburn Cemetery in Boston, MA. Mount Auburn Cemetery was established in 1831 and served as the inspiration of dozens of new cemeteries over the following decades, including Rose Hill Cemetery. Only Green Mount Cemetery of Baltimore and Mount Olivet Cemetery of Frederick are older examples of planned rural cemeteries in Maryland. Rose Hill is the largest example at 102 acres. After completing his work for Rose Hill Cemetery, John Wilkinson returned to Baltimore where he is credited with being a founding member of the Baltimore Chapter of American Institute of Architects, established in 1871. The Washington Confederate Cemetery was purchased by the state of Maryland in 1871 for the burial of Confederate dead. This cemetery is where 2,468 Confederate soldiers from the battle of Antietam and South Mountain are laid to rest. Of the 2,468 soldiers only 346 were identified. 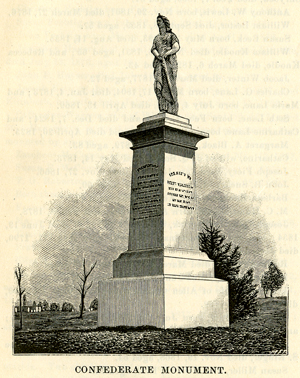 On February 28, 1877 a monument was placed at the cemetery. The monument stands 19 feet high representing Hope leaning upon her anchor with flowing robes and upon her brow sits a single star, perhaps the single star of the Confederate Army. She is called “Statue of Hope. The Washington Confederate Cemetery was officially dedicated on June 15, 1877, with Major General Fitzhugh Lee, nephew of Robert E. Lee, as principal speaker. Over the years, additional burials of confirmed Confederate soldiers have taken place in the cemetery and several re-dedication ceremonies have taken place. The state of Maryland continues to own the cemetery and maintains the statue, while Rose Hill Cemetery maintains the rest of the this historic cemetery. 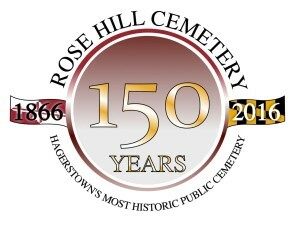 Now in our 150th year of service to our community, Rose Hill is the most historic cemeteries in Hagerstown and maybe Maryland and it has expanded to 102 acres and serves as the final resting place for over 43,000 people, all of whom add to the richness of our local history. 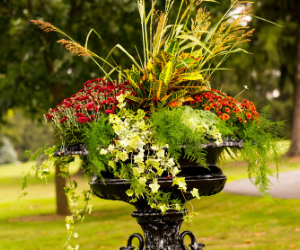 Today Rose Hill is a modern perpetual care cemetery, providing many types of memorialization ranging from traditional monuments to columbarium. In addition to our traditional holiday events, we host various additional events throughout the year. To keep up to date on our events, tours and news you can register to receive our monthly e-newsletter by completing the form at the bottom of this page.